John Logie Baird and his television. Baird’s telly was useless, and so were his thermostatic socks? 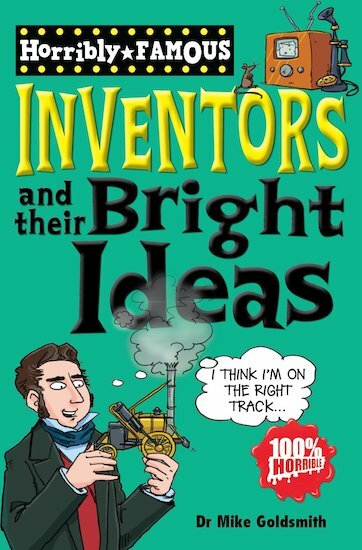 Yes, even though they’re dead, inventors are still full of surprises – and you can meet ten of history’s barmiest bright sparks in here. Get the inside story from their long-lost notebooks, read the newspapers as their groundbreaking inventions hit the headlines, and discover the stories behind some of the greatest ideas in the world! It is a good book to make the children think.